British Quad Double Sided (30" x 40"). This is a guaranteed original movie poster. This is not a REPRINT or a REPRODUCTION. Ryan Gosling, Carey Mulligan, Bryan Cranston, Christina Hendricks, Ron Perlman, Oscar Isaacs. 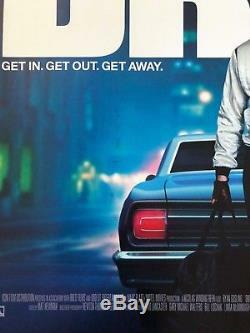 Directed by Nicolas Winding Refn. This poster ships rolled as issued and is in C8-C9 Excellent to Near Mint condition. There is what appears to be an ink transfer possibly due to moisture to the left of Ryan Gosling. Please see photos for condition. 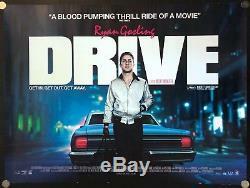 The item "Drive 2011 Original Movie Poster British Quad Double Sided C8 Excellent Noir" is in sale since Saturday, June 30, 2018. This item is in the category "Entertainment Memorabilia\Movie Memorabilia\Posters\Originals-International\2000-Now".